This model is 6' 0" and wears a size M. Their chest measures 38" and the waist 28". 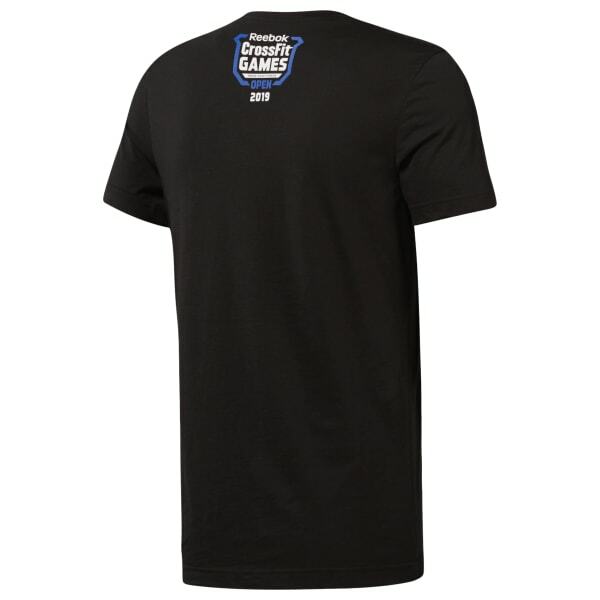 Show your support for the 2019 CrossFit Open in this men's graphic t-shirt. It's made of flexible, lightweight cotton for everyday comfort.